If you are running an auto repair shop, you probably have plenty of experience dealing with customers who are constantly calling to find out why it is taking so long for their Infiniti FX45 parts and accessories to arrive. In the past, you may have accepted that a situation like this was simply out of your control and that waiting for the parts to arrive was your only option. At UNeedAPart.com, it is our mission to eliminate the waiting process by providing you with a database of over 7,000 parts dealers across the country, so that you can locate the exact Infiniti FX45 parts and accessories your customers need and receive them at your shop as soon as possible. We only connect you with the used parts dealers that have the items you need in stock, so that you can regain the power of supplying your customers with exactly what they need, when they need it. Imagine a world where you can tell each of your concerned customers that their Infiniti FX45 accessories or parts are "on their way." Locate Infiniti FX45 Replacement Wheels.Fast! UNeedAPart.com is not only great for auto repair shops, but also for anyone in need of replacement Infiniti FX45 wheels. If you have ever ordered replacement wheels for your vehicle in the past, either on the Internet or through an auto body shop, you may have faced with the frustrating fact that the wheels you ordered from your Infiniti FX45 parts and accessories supplier, for one reason or another, do not fit on your vehicle. Most of the time, this problem is a result of failing to know which wheels to search for, or where to search for them. UNeedAPart.com takes the guesswork out of finding the replacement wheels and any other Infiniti FX45 part you need, so that you never have to search aimlessly again. 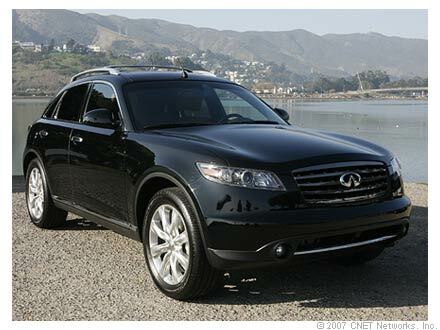 Finding the right Infiniti FX45 parts and accessories is easy! To get started, simply use the Parts Request boxes at the top and/or side of the page. We will instantly match you with the auto parts dealers that meet your search criteria. UNeedAPart.com helps you find the used auto body parts you need in no time!